XBee Wireless Tilt Controller Project for SumoBot or Boe-Bot robot. 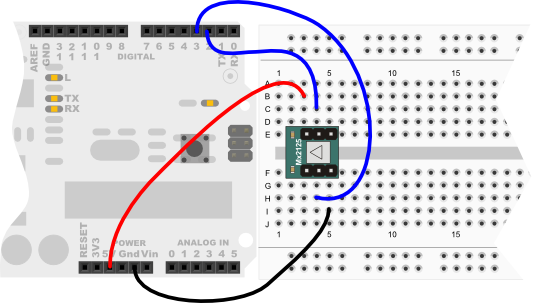 Memsic 2-axis Accelerometer KickStart Example for BASIC Stamp, Propeller, and Arduino. Stamps in Class Mini Projects. 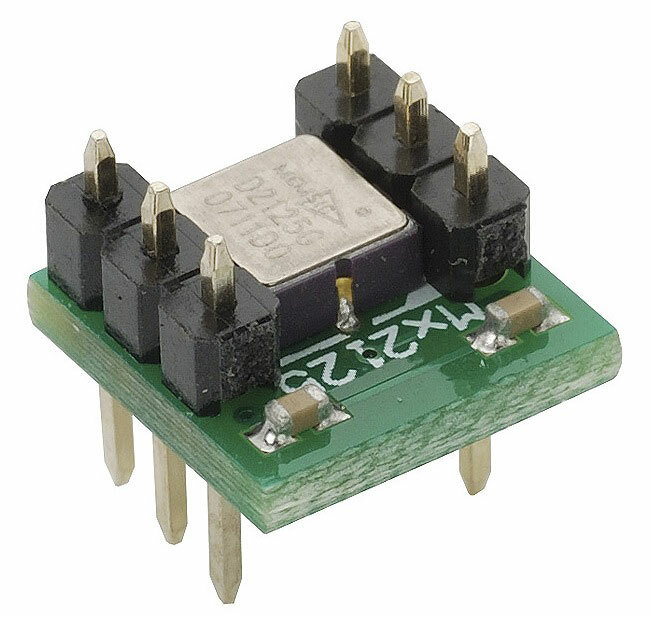 The Memsic 2125 is a low cost, dual-axis thermal accelerometer capable of measuring tilt, acceleration, rotation, and vibration with a range of ±3 g. For integration into existing applications, the Memsic 2125 is electrically compatible with other popular accelerometers. Memsic provides the 2125 in a surface-mount format. Parallax mounts the circuit on a small PCB, providing all I/O connections so it can easily be inserted on a breadboard or through-hole prototype area. Measures ±3 g on each axis, enough for data for a wide variety of applications. 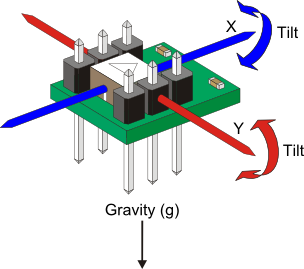 Simple pulse output of g-force for each axis is easy to read for most any microcontroller. Convenient 6-pin 0.1" spacing DIP module fits into a standard breadboard or through-hole board. 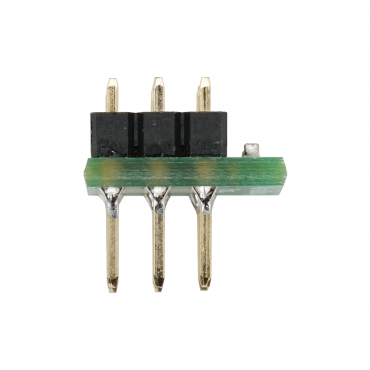 Analog output of temperature (Tout pin) allows for fine-tuning of advanced applications. 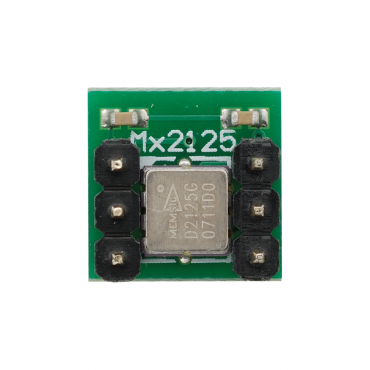 Low current at 3.3 or 5 V operation (less than 4 mA at 5 VDC) puts low demand on your system. Dual-axis tilt sensing for remote controllers or autonomous robot navigation. Movement/Lack-of-movement sensing for alarm systems. R/C hobby projects such as autopilots. Power requirements: +3.3 to +5 VDC. Communication: TTL/CMOS compatible 100 Hz PWM output signal with duty cycle proportional to acceleration. Dimensions: 0.42 x 0.42 x 0.45 in (10.7 x 10.7 x 11.8 mm). Operating temp range: 32 to +158 °F (0 to +70 °C).